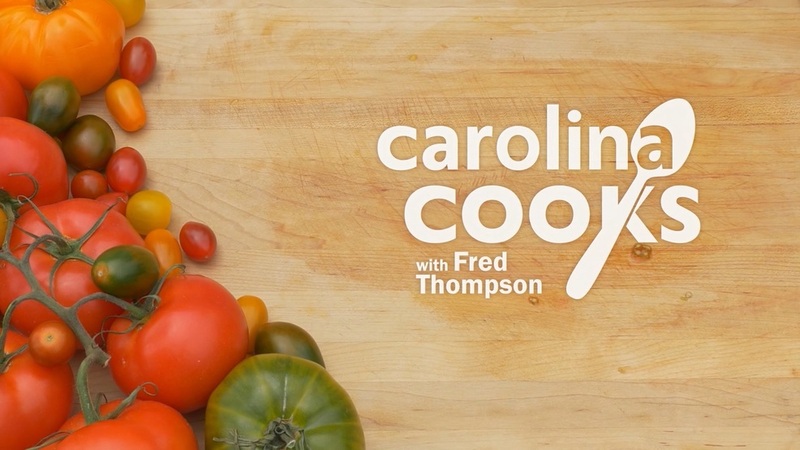 Carolina Cooks with Fred Thompson takes you on a culinary tour of of what's cooking in the Carolinas and beyond. All about fresh food, healthy eating and new twists on southern classics. Click here to watch the first episode online! Fred Thompson is a food and travel writer, photographer and owner of Edible Piedmont. His focus is on cooking locally raised pastured meats and fresh local foods. He is the author of 13 cookbooks, including Fred Thompson’s Southern Sides, Barbecue Nation and The Big Book of Fish and Shellfish. His latest book is Bacon, part of the Savor the South series. You can also read his column in the Raleigh News and Observer. Q. What is your favorite thing to make? Q. Eastern or Western Que? Q. When did you discover that you liked to cook? 10 years old. That's when I decided to cook my parents breakfast one Sunday and almost caught the house on fire. And when I was 18, at college and realized that cooking was cool with girls. Q. What is your favorite cooking style? I love to grill, but pan roasting is a close second. Q. What dish would you like to make that you haven't? Q. What is your favorite go-to-dish for company? Grilled or roasted asparagus. Works with any meal. Follow Carolina Cooks on Twitter!